Product information "Shimano Deore XT Crankset FC-T8000 3x10 175mm"
Reliability and durability are key considerations for anyone on a serious trek. You need components that can match up to your adventurous spirit and components that can match your riding styles. That's why DEORE XT Trekking offers the versatility of a 3x10-speed drive train (48-36-26T) with stable and precise gear shifts across the DEORE XT 10-speed cassette (CS-M771-10, 36/34/32-11). An added chain guard on the HOLLOWTECH II crankset makes for a cleaner ride, especially handy for commuters. 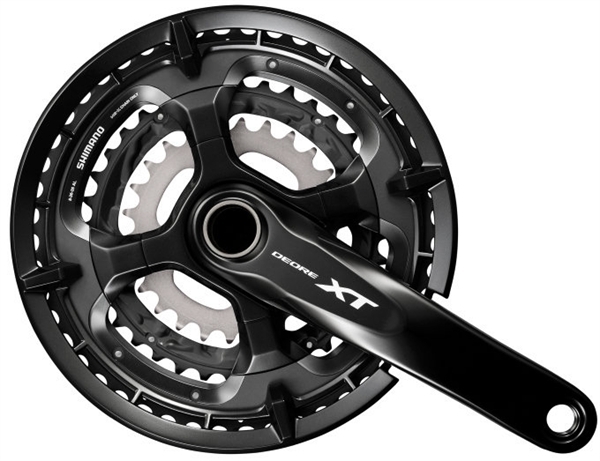 Related links to "Shimano Deore XT Crankset FC-T8000 3x10 175mm"
Customer evaluation for "Shimano Deore XT Crankset FC-T8000 3x10 175mm"